Name of another fest participant – Kawir! 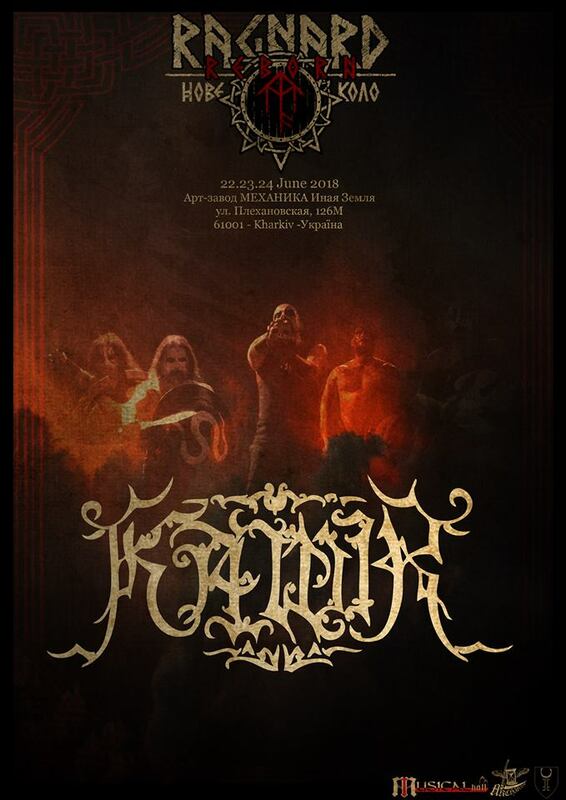 he roar of thunder rolls from the top of Olympus mountain to land of Oriana and Kharkiv city, bringing the name of another fest participant – Kawir! One of the founders of mighty Hellenic black metal scene were formed in 1993 in Athens and have been following the path of noble and unmistakable traditional Hellenic approach to black metal since then on every record of their solid discography. And their newest album “Εξιλασμός”, released in this November through Iron Bonehead Productions, is unambiguously best record in this genre made in 2017. Be prepared for Hades opening its gates at Ragnard Reborn Nove Kolo fest! Previous Previous post: Today we are extremely proud to announce the mythical project Lord Wind!